Our experience also includes integrating these sites with third-party systems (e.g., payment, order management, financial), channel partners (e.g., Amazon.com), and enhanced search tools (e.g., Endeca). 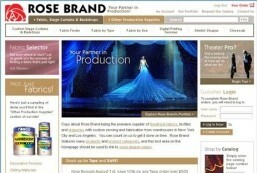 Leading supplier of production supplies and fabrics to the entertainment industry. 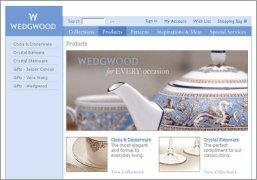 Sales increased over 100% within 1 year of implementing the newly redesigned site and email marketing campaigns. 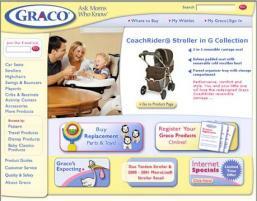 Developed creative and technical aspects of the site as well as ad banners and email marketing. 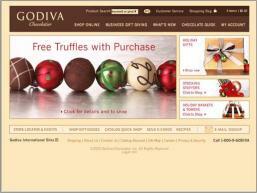 Ranked among top Web retailers for personal and business related gifting. Developed creative & technical aspects of site and email marketing program. 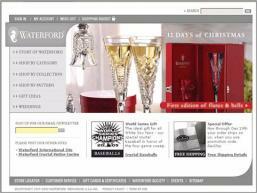 Gifting Wizard and Outlook Address Upload features provide high-end service for a high-end brand. Integrated with Amazon.com Merch@ program for increased exposure to millions of shoppers. 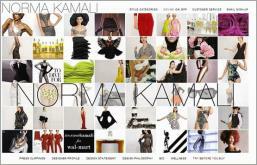 Leading fashion designer selling through top department stores, Wal-Mart and her own boutique. Redesign facilitates easy site management. Unique checkout process facilitates "Try Before You Buy" concept. Implemented creative and technical aspects of new e-commerce site. Features facilitate search by pattern, designer and gifting occasion. 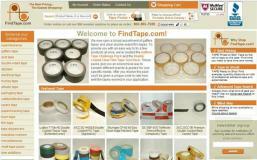 Top adhesive tape category e-commerce site. Implemented branding, creative, technical, SEO, SEM & email marketing aspects of site. Creative design reflects the key brand characteristics of tradition and elegance. Features promote on-line and off-line sales. .Net Framework used to deploy multiple sites with different brand identities including Hechinger, Knobs and Things, and more. Microsoft IIS, SQL Server and .NET architecture. Enabled direct sales as well as sales via online and offline retailer network.